It might be a moot point to ask whether the world has had its fill of Bob Dylan movies, but whoever answered “hell no” will be happy to know that a production company in Brazil has bought the film adaptation rights to Blood on the Tracks. The 1975 album will be made into an English language flick by RT Features, produced by Rodrigo Teixeira and Fernando Loureiro (the former of whom, sadly, isn’t the Rodrigo Teixeira with all the major visual effects chops, but still has a stacked Brazilian resumé). Miley Cyrus and Ke$ha are, no doubt, very excited. “Our goal is to work with a filmmaker who can create a classic drama with characters and an environment that capture the feelings that the album inspires in all fans,” Teixeira told the Hollywood Reporter. What do filmmakers have to live up to here? Tracks, Dylan’s 15th studio LP, was certified platinum in the U.S. and continues to be his best-selling album of all time (what, you thought it was this one?). Though many Dylanites are convinced its content harkens to the marital problems he was suffering while writing the album (Jakob Dylan said at one point that the album was “my parents talking”), Dylan himself maintains that the songs were inspired by the short stories of Anton Chekhov, which could hint at a direction the film might take. 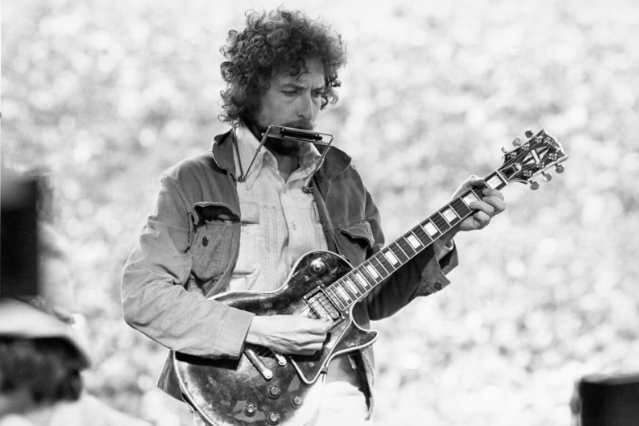 There have been approximately 1.2 gazillion movies made about Bob Dylan, the most notable/recent being 2007’s I’m Not There; Dylan himself has directed and provided soundtracks for a slew more. However, if Teixiera’s aforementioned vision is any indication, this might be the first Dylan-soundtracked flick not about Bob Dylan, apart from the one for which he specifically wrote the score, 1973’s Pat Garrett & Billy the Kid (two years before Tracks). Incidentally, the songwriter’s career-launching self-titled debut turned 50 last month.